Olympians are wearing more noticeable logos at the Rio 2016 Olympics than in past games. Why? 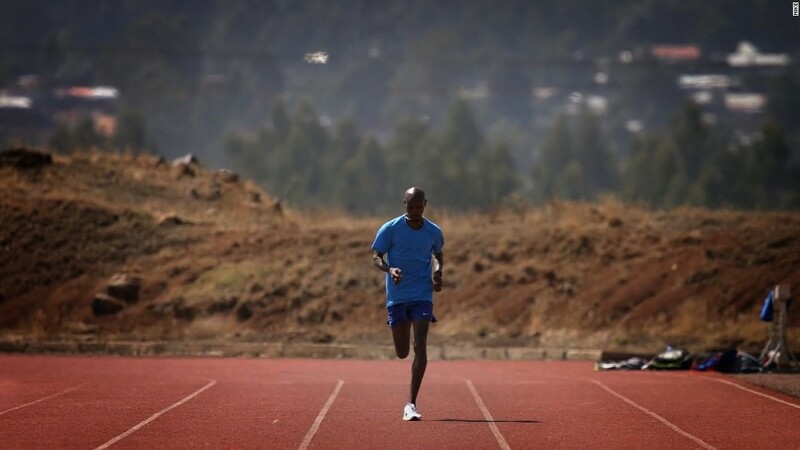 The Olympics changed a rule that allows sponsors to enlarge the size of their labels on athletes' uniforms and gear. The new guidelines increase the size of logos from 20 square centimeters to 30. Companies can now also display a second -- smaller -- label. The larger logos also allow companies that aren't official sponsors of the Games to be more visible. It all adds up to what Olympics organizers and sponsors want: The ads attached to athletes' clothes are more visible than ever. Last week, during the medal ceremony for the women's gymnastics team competition, brands appeared to be dueling for attention. Gabby Douglas and other members of Team USA accepted their gold medals wearing leotards with an Under Armour (UA) logo -- underneath their Nike (NKE) track suits. 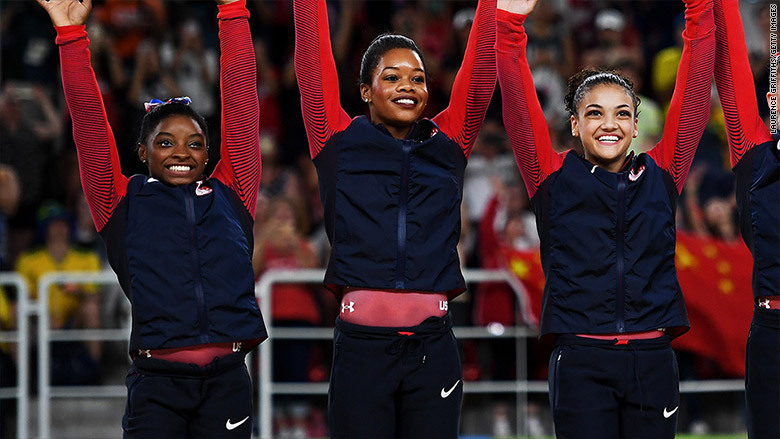 Simone Biles, Gabby Douglas and Laurie Hernandez celebrate on the podium after U.S. Gymnastics won gold. But it's not just women gymnasts. The rule changes affect the apparel of all Olympians, from archers to swimmers and volleyball players to track and field athletes. In addition, the logos have gotten larger on sports equipment such as rackets and bicycles. The official emblem of the Rio 2016 Olympic games also increased to 30 square centimeters. The changes are a big move given how specific the International Olympic Committee's guidelines are for everything from socks to bags. For example, brands can't put their logos on the neck or collar of a piece of clothing. And some items can't bear logos at all -- headphones and water bottles are off limits.